News regarding the upcoming Defence Housing Authority (DHA) project in Quetta has been around for a while. So far, only a little apart from what was relayed in the news, could be learnt about the project. Just today, a notice was published where DHA invited applications for agent registration. So naturally, many are convinced that DHA Quetta files are soon to be launched. To give you a heads up on the expected important developments with Balochistan’s biggest real estate development, we have nudged some of our reliable sources in provincial headquarter. Here is what we have learnt. The authority has been moving forward vigorously with the land acquisition process. Quite fortunately, they haven’t faced any major road blocks while doing so. We couldn’t get confirmed figures on how much land has been acquired and how much more is in the pipeline, but we do know that it’s enough for DHA to plan the launch of affidavit files in the market. Sources also revealed that land acquisition will continue for a while more. Since it is DHA’s first project in Quetta, the society has a long way to go and many more phases to come. So, land acquisition here might go on for some time in the future. When it comes to seeking information about DHA projects, the official word is always the final word and the information is never leaked before it is officially announced. It is a fact now that land for the project is being acquired in the vicinity of the airport. Back in May this year, DHA announced details on mouzas where it had acquired land. These include land or parts of land in Kateer, Samali, Gadazai Malazai, Karak, Tarkha Gordat Singh, Mehtarzai, Chashma Baleli, Chashma Achozai, Sra Ghurghai, Sra Khula, Hanna, and Tor Ragha, including uninhabited areas of the valley astride Shaban Road up till Shamozai Dam. If you aren’t familiar with these mouzas in Quetta, you should know that these mouzas are parts of Kuchlak Circle, Baleli Circle, Nauhisar Circle, and Durrani-2 Circle. Well, towards the end of the year or start of the next, DHA Quetta affidavit files will be out in the market. Inviting dealer applications for registration will assist in the resale of these files. The prospects of investment in these is huge, due to the absence of a reliable real estate investment in the region, with almost all large-scale real estate investors having to head to Karachi for this purpose. In addition to that, being the first DHA of Balochistan, a province gaining strength in terms of maintaining peace and getting ready to greet several projects of infrastructural developments in the region, investment from around the country and overseas is expected. It is usually observed that rates of affidavit files are almost 40% of the launching rates of plots, while the launching rates are almost 30% of the optimum value of the plot when the project is eventually developed and delivered. In the case of DHA Quetta, the same rule may or may not be applied as land here is considered very precious by the owners, who aren’t willing to sell it without having the right offer being made. To have a relatively close idea of how much should the value be of DHA Quetta affidavit file, you must inquire about property rates in Quetta Cantonment and apply the calculations we shared above. 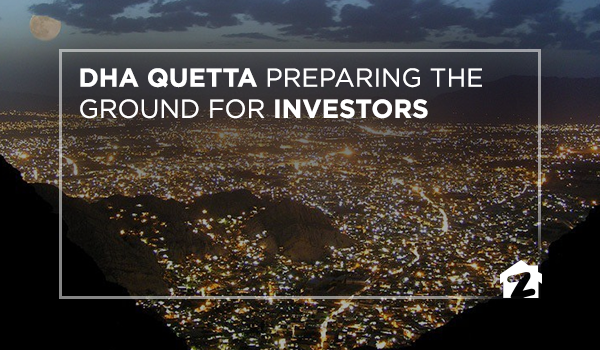 Town planning for the project is yet to begin, but due to several known and unknown reasons, DHA Quetta is believed to become the most prime of all DHA Developments in the country. In the context of China-Pakistan Economic Corridor, its prospects are even grander because Quetta will be the centre of trade to the western parts of Pakistan and also the closest to many cities within Pakistan. To make sure that the project is developed according to the strategic importance of the Balochistan provincial head, also as the first DHA of the province, every step is being taken with careful planning. In this regard, DHA will set up its town planning directorate after taking care of related matters. As soon as we get our hands on more information on the project, we will keep you posted via Zameen News and our blog section. 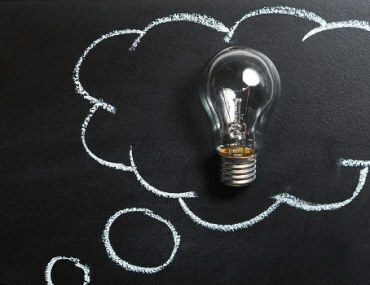 If you have feedback on the article or any questions for us, let us know through your comments. My dear Author, you have put up quite a realistic and professional assessment of DHAQ. I’m really impressed to see that there are others in the field who think likewise. Quetta has long awaited launching of such a housing scheme and its about time now. The cost of land has plummeted which is a sure sign of success in real estate sector. DHAQ Affadavit Files are already available with some investors/ Land Dealers and they are trading at Rs. 7M+. Reportedly, DHAQ has allowed only a limited number of Affadavit Files to be offered for sale. Everyone in the local market seem to be eager in getting these files. I’ll be happy to share more information from local market, in case you need more input. DHA Quetta Files are Now Available in Market and the Project is going to be announced officially very soon! 1 kanal Affidavit files can be purchased open or on intimation! 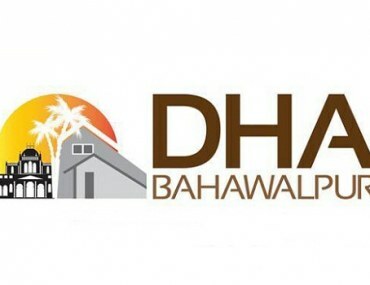 What should you do with your DHA Bahawalpur files?